The Congress-led United Progressive Alliance seeks to work a way out of the latest Government-Opposition stand-off over a discussion with vote in Parliament to permit Foreign Direct Investment in multi-brand retailing. Efficacy of Congress political managers will be put to test to save the winter session and allow passage of important legislative agenda. 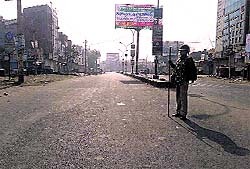 Sirsa continued to be under curfew for the second day today. 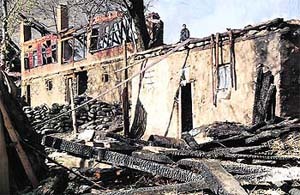 No untoward incident was reported from the city or its neighbourhood. Organisations opposed to the Dera Sacha Sauda have given an ultimatum to the authorities to arrest those responsible for the attack on them by November 30 or face consequences. A meeting of the organisations opposed to the dera was held at Gurdwara Chilla Sahib today. The Ministry of Finance has marked an inquiry into what may turn out to be a massive recruitment scam, wherein Maruti Suzuki�s name was used to dupe people across India. Senior IPS officer Alok Joshi will be new chief of Research and Analysis Wing (RAW) and Syed Asif Ibrahim will be the next Director of Intelligence Bureau, the first Muslim to head it with four officers senior to him having been shifted out. The government may issue a multi-city visa to Pakistani cricket lovers planning to witness the forthcoming cricket series beginning December 25 if they provide tickets of the matches and return ticket besides having an Indian sponsor. A committee formed within the Union Home Ministry has suggested that tickets to the venue and the return tickets would ensure regulating the visiting Pakistani cricket lovers, official sources said. Copyright : The Tribune Trust, 2012.